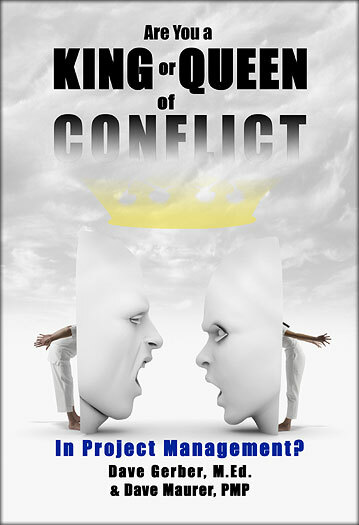 Are you a King or Queen of Conflict In Project Management? Human Beings = Conflict. Whether you are a brand new project manager, supervisor or a seasoned leader in the world of projects, this book is for you. Cross referencing the PMBOK and the F.A.C.T.S. of conflict, this book is a must read primer filled with important lessons learned and best practices based on the “Bodies of Knowledge” and the reality that project conflicts are most likely a daily occurrence. Everyone needs support when dealing with tough interpersonal “stuff” and Dave Gerber and David Maurer make those solutions a reality.